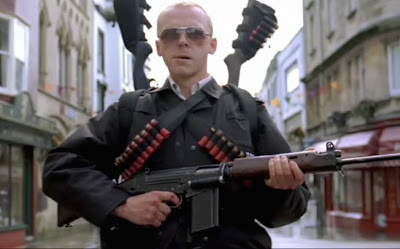 London has never seen a cop quite like Nicholas Angel (Simon Pegg). He’s scarily proficient in hand-to-hand combat, high-speed pursuits and armed response; he treats his job with the utmost seriousness, and he has an arrest record which is 400% better than anyone else on the force. He’s good - in fact, he’s a little bit too good. Angel’s dedication has already cost him his girlfriend, and his startling efficiency is making his colleagues look bad. As a result, Angel’s superiors decide it’s rime to reassign him - he’s going to be the new sergeant in the small town of Sandford, the sleepiest of sleepy English villages. The big joke in Hot Fuzz, the much-anticipated new film from the team behind 2004’s Shaun of the Dead, is the transposing of Hollywood action movie clichés into a genteel English setting. Alongside the village fetes and missing swans, we get ear-splitting shootouts, car chases, and a series of grisly murders; and the overall effect is like watching Michael Bay direct an episode of Midsomer Murders. It’s a simple conceit, but it’s a funny one too, and it’s one which is well exploited by Director Edgar Wright and co-writer Pegg; but their determination to pack the film with as much action, comedy and cinematic references as possible eventually sees the movie sliding into self-indulgence, with the wheels almost coming off in the second half of its two-hour running time. Hot Fuzz is undeniably very funny though, and its biggest asset is the double-act of Pegg and Nick Frost, the same pairing whose wonderful chemistry helped gloss over Shaun of the Dead’s similar flaws. Here Frost plays local simpleton Danny Butterman, who has followed his father into the police force even though he is quite obviously unsuited to the task. In fact, Danny often finds himself waking up in the cells after a drunken night, and he seems bored and frustrated by the fact that life as a policeman doesn’t deliver any of the action he’s seen in his favourite Hollywood blockbusters. Danny is thrilled when he is assigned as Angel’s new partner, who he looks at with awe and asks questions like “have you ever fired two guns while leaping through the air?”. The central relationship in Hot Fuzz mirrors that of many a buddy movie. Over the course of the picture the über-serious Angel gradually starts to soften, learning to lighten up and take life a little less seriously, and the lazy Danny begins to mature, learning to be more responsible in his role as a police officer. The development of these straightforward character arcs occurs in a predictable way, but Pegg and Frost play off each other brilliantly; and the pair’s developing relationship hints at the undercurrents of homosexuality which are evident in most of the films they gleefully pastiche - particularly Point Break and Bad Boys II, Danny’s favourite films and the two pictures which are alluded to most frequently here. Aside from the fine work provided by Pegg and Frost, there are myriad other delights offered by Hot Fuzz. Sandford seems to be some sort of haven for British character actors, and the likes of Jim Broadbent, Edward Woodward, Olivia Colman, Paddy Considine and a supremely villainous Timothy Dalton all have great fun with their supporting roles. As in Shaun of the Dead and Spaced - the TV show with which this team came to prominence - Wright gives the film a cinematic sheen with his glossy camerawork and slam-bang editing style, and the careful attention paid to Hot Fuzz’s aesthetics is accompanied by an endless stream of film references, with pictures as diverse as Point Blank, Chinatown and The Omen all influencing the action here. But too much of Hot Fuzz’s energy and invention seems exhausted by the time the film moves into its second hour, and it backs itself into a narrative corner when the motivation behind Sandford’s numerous murders (or “accidents”) is revealed. After piling the film with every cop-movie cliché they can think of for the first hour, the filmmakers suddenly shift the action into Wicker Man territory with some gothic weirdness being uncovered, and I grew more conscious of the film’s excessive running time as the script started running in rather aimless circles. Hot Fuzz does manage to rouse itself slightly in the final third - with a well-executed supermarket shootout leading to a model village face-off - but even then the filmmakers simply don’t know when enough is enough, and they fudge the ending by giving us two climaxes too many. The best moments in Hot Fuzz are the small touches - gags like Danny’s ‘brain freeze’ or his novel use of a notepad; the inexplicably funny line “I’m all right Andy. It’s just Bolognese!”; or an amateur production of Romeo and Juliet which features a rendition of The Cardigans’ Lovefool. Such inspired moments sometimes feel out of place in the overall bombast of the production, and there’s a tension between the filmmakers’ desire to incorporate explosive action sequences and their fondness for silly gags which makes the final product feel a little unsatisfying. Simon Pegg and Edgar Wright have bags of talent - and Hot Fuzz is a very accomplished, entertaining piece of work - but they need to instil some discipline into their work and give their stories a bit more shape before they can really achieve their potential. If they can do that, then they may yet be a comedic force to be reckoned with. Another filmmaker riding the wave of high expectations with his latest picture is Michel Gondry. In 2004 he was in the director’s chair for Eternal Sunshine of the Spotless Mind, a dazzlingly inventive and achingly romantic comedy which quickly established itself as a modern classic; but not much of the credit for that great offering went to Gondry. Instead, Eternal Sunshine was perceived by most as a Charlie Kaufman film, with the screenwriter getting the lion’s share of the attention as well as an Academy Award for his efforts. So is The Science of Sleep Michel Gondry’s attempt to show that he can do anything Kaufman can do? The premise of a man’s dreams becoming indistinguishable from his daily existence certainly sounds a little - forgive me - Kaufman-esque, and the fact that the film follows two quirky characters as they edge towards a hesitant romance can’t help but recall Eternal Sunshine’s narrative trajectory. Unfortunately, the similarities end there. The Science of Sleep starts of as an intriguingly strange proposition, complemented by beautiful visual effects, but it has none of the romance, none of the subtlety, and none of the heart that was evident in the 2004 film. There’s no doubting the director’s genius for visual trickery - and The Science of Sleep is wonderfully stimulating film on that level - but its interminable trips through various fantastical sequences never land on anything of substance. The Science of Sleep is a film about the relationship between dreams and reality, but - crucially - it doesn’t try to differentiate between the two states. In this regard it mirrors the fractured psyche of its main protagonist Stéphane (Gael García Bernal ), a twenty-something misfit whose imaginative dreams tend to spill over into his waking hours. We start the film inside his head, watching him explain the genesis of dreams in a makeshift TV studio, and during the next 105 minutes we’re never quite sure whether the events on screen are to be taken as reality or fantasy. Stéphane dreams about a skiing holiday, and wakes up with his feet in a freezer; he needs cellophane to help neighbour Stéphanie (a sweetly understated Charlotte Gainsbourg) with an art project, and he produces it from his taps; he invents a ramshackle one-second ‘time machine’ and - miraculously - it works. Such moments are occasionally delightful, but with this kind of whimsy a sense of balance is key, and Gondry keeps piling on the magic to the point of overkill. There’s a typically low-tech touch to the film’s visual effects, and the sight of an entire cardboard city coming to life is pure Gondry brilliance, but what do these sequences reveal about the character whose mind is creating them? Few of the film’s flights of fancy enhance our understanding of Stéphane or his relationship with Stéphanie, and the further the film goes into Gondry’s world the less it seems tethered to anything recognisably real. When Stéphane finds himself involved in a cardboard car chase, one of many irrelevant sequences which seem grafted onto the picture, it feels like the director was simply showing off the skills we’re already well aware of. The skills we really needed to see here were more to do with the writing half of Gondry’s credit, the ability to create substantial characters and real relationships, but the film’s central love story never came close to grabbing my emotions. Gael García Bernal brings all of his usual charm and astuteness to the role of Stéphane, and he also displays some first-rate comic skills in a performance which really couldn’t be better, but there’s little he can do to with a character who grows more infantile and dislikeable by the minute. By the time the film had moved into its final section - a final section which feels twice as long as it is - his behaviour seemed to exhibit signs of genuine mental disability, and it’s hard to know how exactly to respond to his plight. As the film progressed my sympathies gradually shifted to Stéphanie for having to put up with Stéphane’s unpredictable and often obnoxious behaviour. The Science of Sleep’s ending is opaque and meaningless, and it’s a frustrating conclusion to a gorgeous mess of a film. 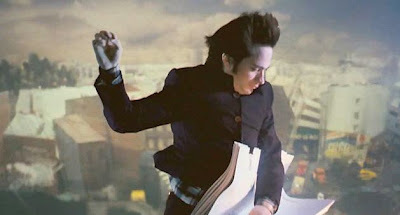 Gondry’s picture contains more imaginative sequences than any other film this year is likely to contain, but the director of this infuriatingly shallow picture can’t find a sense of truth underneath the surface flair, and he shows a surprising reluctance to dive into the turbulent emotional waters of real-life relationships. Michel Gondry has a special gift for creating dreams on the screen, but how can we make sense of those dreams until the director allows us to wake up? Spare a thought for Johnny Blaze (Nicolas Cage), though. He can’t wake up because when night falls he doesn’t sleep like the rest of us, he transforms himself into a seemingly invincible vigilante with a flaming skull where his head should be. This is the Ghost Rider, a character who must collect damned souls at the bidding of Mephistopheles (Peter Fonda), and this is a role Blaze has to play after selling his soul decades earlier to save his father’s life. This is the valuable lesson one takes away from Ghost Rider - always read the small print. The bar for comic book movies has been set pretty high in recent years by the likes of Sam Raimi and Christopher Nolan, and this effort from Mark Steven Johnson - responsible for 2003’s dreadful Daredevil - looks very inadequate in comparison. Sure, the effects are all very impressive, and one or two welcome moments of humour are allowed to shine through the gloom; but so much of it feels so wearyingly familiar. The plot is particularly uninspired, with Mephistopheles’ power-crazed son (Wes Bentley) trying to find some sort of contract which is worth a thousand souls, and the Ghost Rider’s task is to stop him at any cost. This is a particularly inopportune time for Blaze to be called into action - his old flame Roxanne (Eva Mendes) has suddenly reappeared on the scene - but he carries on with his mission when Mephistopheles promises to relinquish control of his soul if he succeeds. The Ghost Rider does cut a rather striking figure, but the best scenes in this film occur when Cage is simply allowed to inhabit the lead role with no special effects getting in the way. The actor’s characterisation here is odd, to say the least. His Johnny Blaze has a hint of Elvis posturing about him, a fondness for The Carpenters, and he likes to unwind by watching monkey videos. While his crew knock back beers, Blaze likes to swig jelly beans from a cocktail glass, and when he wants a coffee he just walks over to the hotplate and drinks straight from the pot. It’s a bizarre performance, full of the actor’s trademark tics and mannerisms, but it’s a blessed relief to see Cage desperately trying to make the film interesting, and his quirky turn gradually grows surprisingly endearing. Unfortunately Cage’s choices are pretty much the only surprising thing about Ghost Rider, and the rest of the cast bring little to the table. Wes Bentley resorts to staring and snarling in a cartoonish manner, Peter Fonda turns in a bland display, and Eva Mendes offers a dreadfully flat and grating piece of acting as romantic interest. Only Same Elliott can help alleviate the gloom with his enjoyably gruff cameo. Ghost Rider is at its weakest when it’s at its most hectic. The various action sequences are loud and full of explosive incident, but Johnson’s resolutely unimaginative staging leeches them of any real sense of excitement. The Ghost Rider himself isn’t imbued with the same sense of personality as Cage’s Johnny Blaze, and all of the CGI-enhanced mayhem on show has very little effect, with the insipid churchyard climax being a particularly deflating way to end the picture. 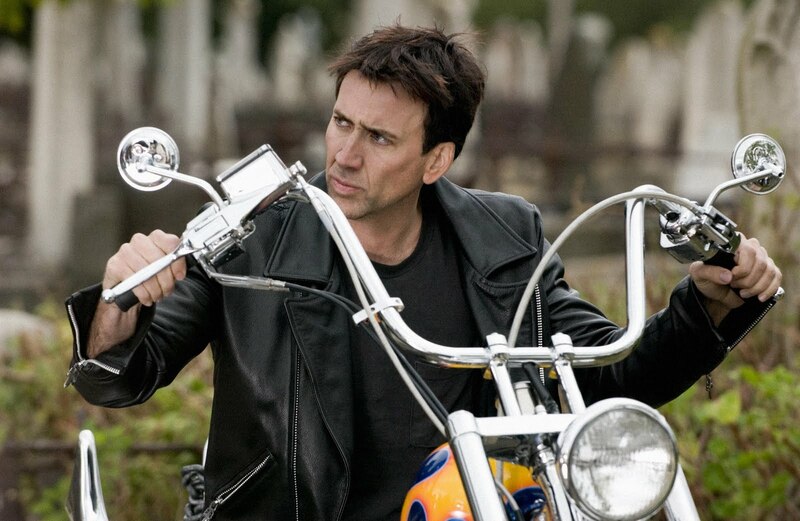 One wishes the makers of Ghost Rider had taken their cue from Nicolas Cage and tried to take their film down dome unusual avenues, offering us something a little different instead of more of the same. 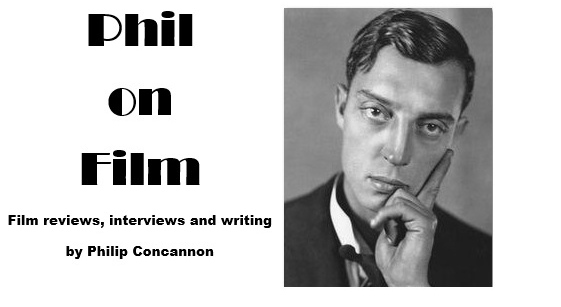 Alas, the efforts of one actor alone are no match for the relentless monotony of Hollywood formula.